Welcome to my eCom Profit Sniper review 2019! eCom Profit Sniper claims that if you use their system; it will help you to make an online business from home which will let you earn $44,000 per month doing 20 minutes of tasks daily. What else you want if you can earn so much from your home? This claim makes me excited, and I decided to see into the system to evaluate whether it has the potential to fulfill it. I also congratulate you on doing your own research before joining this system. As I am totally unrelated to this system, so I will share my honest opinion about this product. Whether it is really that easy for eCom Profit Sniper to fulfill its promises? Is it worth your time? And most importantly, is eCom Profit Sniper a scam or legit? Summary: eCom Profit Sniper is a training course on how to make money from dropshipping using Shopify. There are a lot of false and unreal promises that makes this product overhyped and misleading. For $37 you can get only introductory stuff which you can easily get online for free. You won't make any money by following this product. E-commerce Profit Sniper is an online training product that helps you to earn money online via drop shipping using Shopify. This was developed by Tom Parker. Shopify is the online e-commerce website builder and service provider. It is a complete eCommerce solution that lets you start, grow, and manage a business. You can easily create and customize an online store there. Earning that much amount so easily is not everyone's cup of tea. Therefore, when we listen that it helps to earn that much amount just in few minutes, it sounds like unreal or miracle. Though earning money from drop shipping is possible and many people are making money from it. But it is not obvious or for sure that you will earn that much as someone else is earning. Everyone has a different level of experience regarding that particular business. It all depends on how much you get value from the product regarding training and strategies and how you apply them. But if we look at the training included in the eCom Profit Sniper, it is also very INTRODUCTORY. If you can earn $100 or $200 from this product, then it would be a real achievement for you. Don't bother to think around $40k or close to this. It is a Clickbank product, and we all know that how most of them are low quality and crappy products. 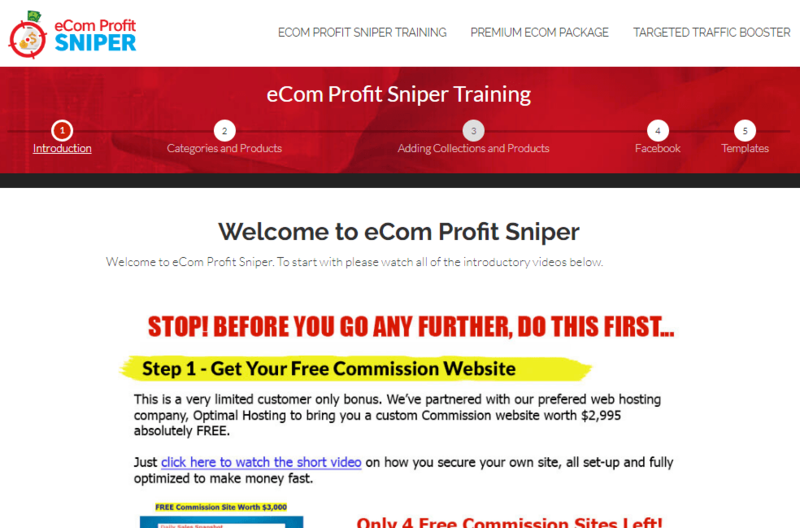 At the website of eCom Profit Sniper, you must have got to know that he talks about his secret. We all know that Shopify is the best and most leading e-commerce platform around the world and drop shipping is also a very popular method to make money online. Dropshipping is a method where a store doesn't keep the products in stock. Instead, when a store/merchant gets an order, it purchases the item from a third party (usually a wholesaler or manufacturer) and has it shipped directly to the customer. As a result, the merchant never sees or handles the product. Anyone can easily make his or her own store at Shopify for trading so that they can earn more profit. Tom Parker provides training to the individuals that how they can make money by selling on Shopify. A first and important step you need to take is to make an online store at Shopify. It offers a 14 days trial and after that charges a monthly fee to run your store. As the overall focus is on dropshipping, so you don't need to maintain inventory. All you need is to take orders from the customers and give orders to the suppliers, suppliers then supply those goods directly to the customers. You can perform that transfer process directly from seller to buyer. You have created a store. Now what, you need customers. This is where Parker guides you how to use Facebook ads and get traffic to your store. Advertising your products is the necessary part of your business to get success among other competitors. If your Facebook ads are more effective, then you can divert more traffic to your products. Not only having more traffic is important but you also need to make that traffic as your regular customer. So that you can earn more profit by increasing sales. You haven't sold any product directly to the customers. However, if somehow any customer faces any issue at all, he will contact you about his/her problems, so you need to manage those complaints carefully. If any of the customers will get the product from a seller in a broken or damaged condition that customer will return the product. This can lead your business to lose its reputation if these returns of products are not dealt with care. What is Included in the eCom Profit Sniper? At first when you enter in the member's area, there you will need to complete two steps. In this step, you are asked to buy the domain name and hosting. So, if you proceed with the payment, you can see a final payment of $167. This includes my domain name, hosting, and other features. Actually, Tom Parker is their affiliate, and he will get a commission if you buy those things. In this step, you are asked to signup for a free workshop. Actually, this is a free webinar from famous internet marketer, John Crestani. Though at the start it is free but once you join it, John will send you emails about his paid programs like Internet Jetset and Super Affiliate System. Both of these programs are expensive, and Tom Parker will earn a big commission if someone buys those products. Even though John's courses have no relation with eCommerce and dropshipping but the thing is you are tempted to join here to earn as much affiliate commission as possible. This section includes very introductory stuff on setting up your all things together. 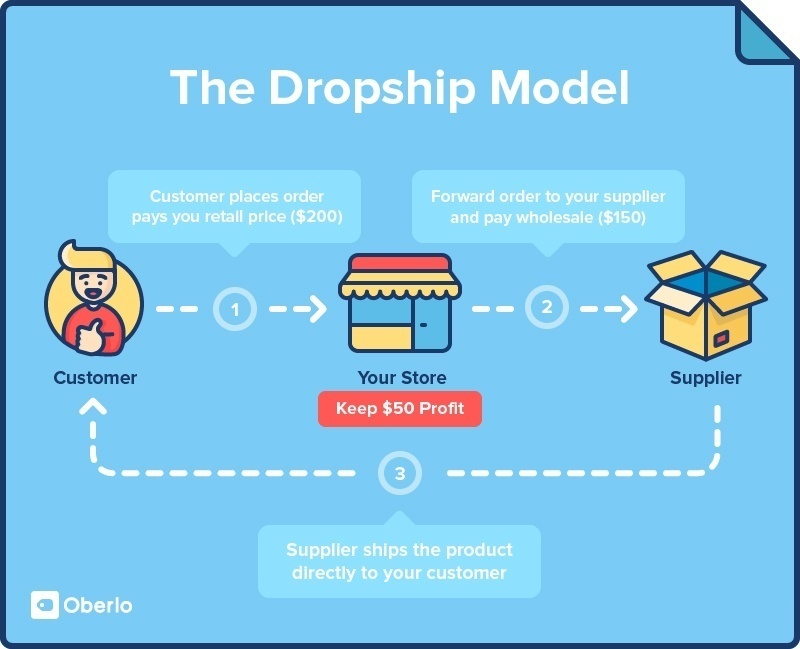 In this module, you are going to learn the basic stuff on drop shipping like how to create your account in Shopify and then Shopify store. Lesson 1: How to properly setup Shopify? Lesson 5: How to Do Theme Settings? After the initial setup, your next step is to learn how to choose the best product categories to start selling on your store and which products to choose from. Your store has been created. Now its time to import products to your store. You will learn about adding Alipay and Oberlo Product Extension to Chrome which enables you to easily import products to your store with a few button clicks. This module covers everything about how to use Facebook to get your Shopify store seen to people. It means how to drive traffic to your store. So the Facebook training is about setting up your Facebook page for drop shipping and then how to use Facebook posts and Pixels to drive free traffic to your store. The following Four resources are available for download in their "Templates" section. These templates and images you can use for your homepage selling-slides, plus some extra bits to help you along. This section is more about using tools, apps, and extensions to make things easy for running a store. Here is a list of the tools that you need to start understanding who your customers are, and what is happening to your website. How to set up Google Webmaster tool? How to set up Bing webmaster tool? In this module, you will learn about free and paid apps that make a lot of things easier. You will learn about how to create buyer personas so that you learn more about your buyers and then target them better. This will help you to identify age, location, gender, interest, income and more about your buyers. Apart from keywords and persons, there are so many factors that come into play to help you cement your e-commerce empire really well. This section is all about how to drive traffic to your store using Facebook Ads, Google Ads, and YouTube Ads. As you have seen these are just very basic stuff on all those platforms. There are much more than even to master it. EcomProfit Sniper guides you a legit way to make money online. As you only, need to develop a store and have legitimate products for selling them online. You can approach more customers through this online store. Additionally, you can also make trust relations with your customers by providing them with their desired products. There is also some good introductory stuff in training for complete beginners who want to step in this business journey. If you aren't making a profit with this, at least it provides you with some skills. Also, Shopify is the best platform on which you can easily make your store by taking training from the eCom profit sniper. Advertising your store gives more exposure to it as more number of visitors will have a look at it. It is my opinion that you should choose Shopify for establishing your store as it makes all things very simple. 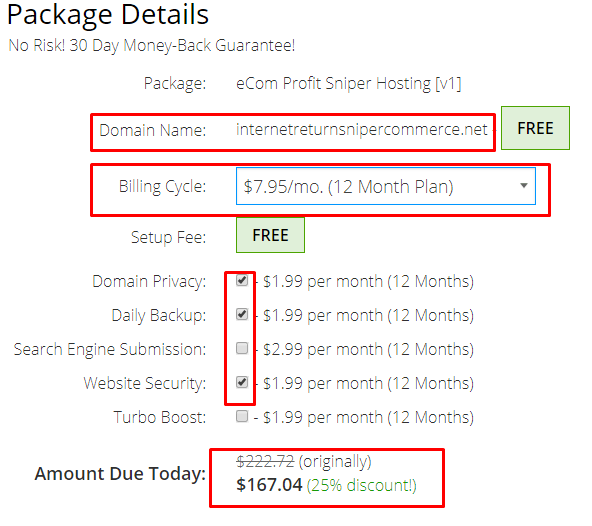 As the eCom Profit Sniper is a Clickbank product, so you can refund it if you don't like it. Clickbank protects its customers by offering 60 days money back guarantee so in case you don't like any product registered with them you can easily get a refund. Just like other crappy Clickbank products, you could also see there are too much hype and misleading information in the sales video. No system in the world could make you earn $44k just for doing 20 minutes a day. Dear, I have been in this business for a while. I put so much effort and energy which makes me earn a decent income month after month. There is no shortcut out there, and the purpose of such false claims is to play with the emotions of the simple people and get them to enroll in this product. Also, I have serious doubts about this screenshot. First, $44k is the sales value and profit will be calculated once we deduct the cost of those orders. So for every sale, you will make a little profit. Let's say the price of an item is $25; the profit will be $1 or something near to this. You need an advertising budget for running your store properly. This will help you out to get more traffic and increases sale. As there is no guidance on how to get traffic for free so you only have to rely on paid methods. You are mostly getting Facebook Ads as a training material but advertising online on Facebook is costly and needs a high budget. So if you don't have a budget to spend on paid advertising, this product isn't for you. Having an amazingly increased traffic towards your store is not an easy process. Therefore, for that, every person needs proper training and skills. Whatever eCom profit sniper provides it is only a BASIC STUFF. Until or unless you have taken proper skill training, you cannot run the store appropriately. Because not only having more traffic is important whereas converting that traffic into your regular customers is even more important. 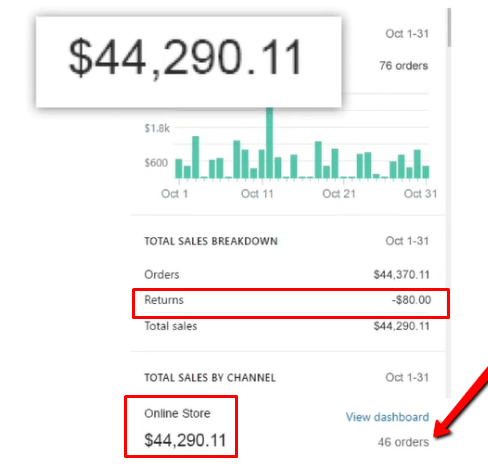 $37 is the amount you need to buy eCom Profit Sniper, but it is not the only investment you need to start this business. There are other costs associated with this business as well. For example, Shopify has a 14-day FREE Trial, but after this period there's a monthly recurring fee if you desire to continue it. Along with this, you also need to spend on a domain registrar, hosting, paid advertising and miscellaneous costs on other tools. But the major investment you need to make is on paid advertising, and as per my experience, you initially need a budget of $500 just to take the start. There is also a lot of trial and error to know what works and what doesn't. ​5. You Can Find Online for FREE! As the training is all around basic stuff on dropshipping business, you can found such information online for free. Just Google it or look it on YouTube where you can find many channels out there. Though Tom Parker is the person shown as a founder of this program, I couldn't found any pictures and profile of that person. It seems like a fictitious name, and this is very common with the Clickbank products. The purpose here is to create as many programs as possible without showing their identity. This is because they don't have trust in their training and plans to cheat people by launching different products again and again. Is Ecom Profit Sniper a Scam or legit? I'm not saying that eCom Profit Sniper is a scam, but due to unrealistic claims and misleading information, it has some signs of scam systems. When someone says that he or she can earn that much amount by just sitting at home for 20 minutes, then it sounds incredible. Earning money is not an easy process so you must need to make some efforts. Sometimes by doing less work, you can earn more money and sometimes it works vice versa. But in both of the cases, you need to work for sure, without working you cannot earn that much amount. Additionally, you need to work hard for advertising the store for having more traffic. So, the whole process is difficult than what is shown by the eCom Profit Sniper. Therefore, it is better to stay away from this product. Well, if you are looking for a way to make a sustainable business from home, I have a better solution for you. I prefer Affiliate Marketing over Dropshipping and also it is ideal for the beginners as well. So, to start your online business journey, please see my #1 recommended option which is Wealthy Affiliate. This system has been around since 2005 and providing the opportunity to people to live a lifestyle they want. 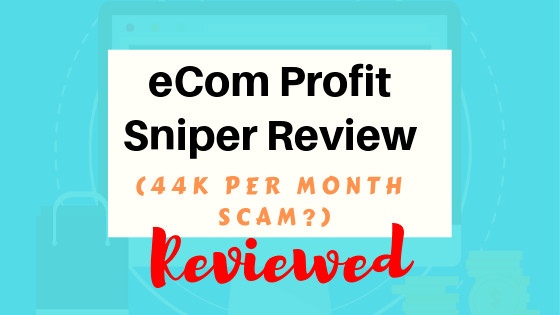 What's your thoughts on my Ecom Profit Sniper review 2019, please share with me in the comment section below. EZ Bay Payday Review – A Scam or Legit Product? 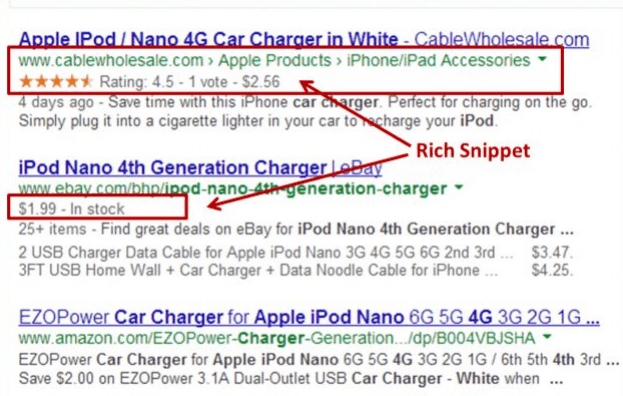 30 Day eCom Challenge Review: Is Jeraun Richards Real?